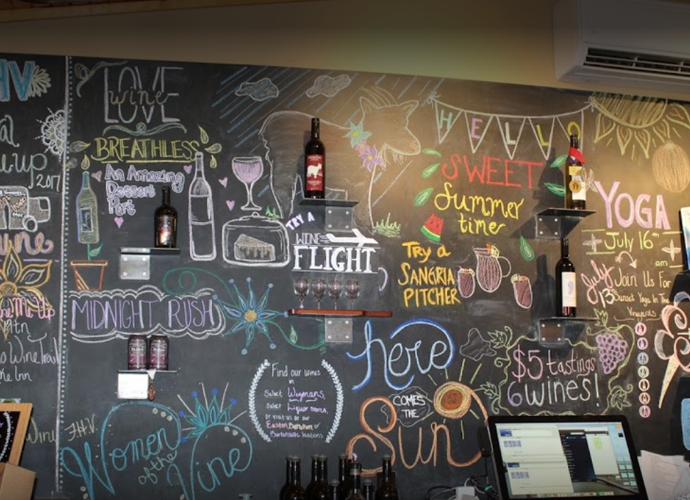 For those of you who have experienced Pennsylvania wines, you will love the selection of available wines. 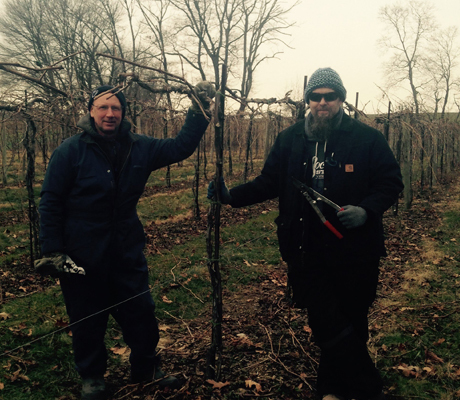 If you have not yet experienced a classic PA grape, you will be in for a treat. 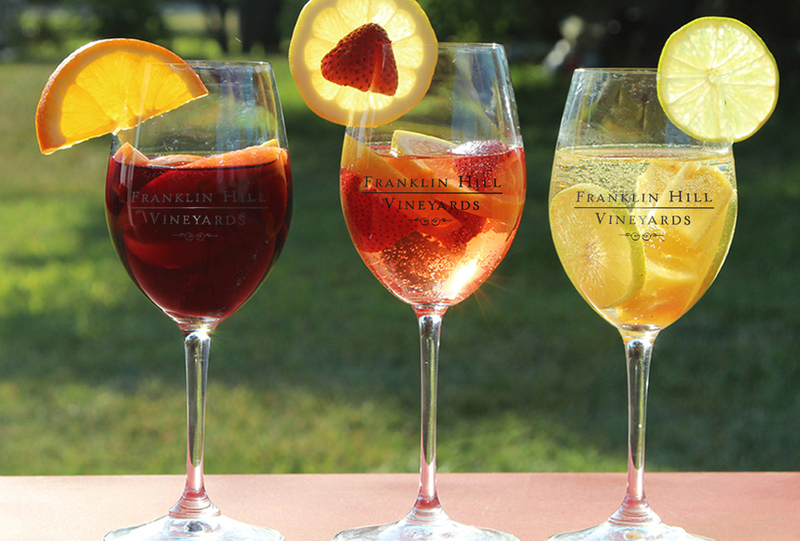 Franklin Hill Vineyards has been long recognized as one of the preeminent Lehigh Valley tasting experiences. With vibrant gardens and beautiful outdoor wine sipping seating, our classically beautiful Estate House sets the mood for a great afternoon of relaxation and good wine. 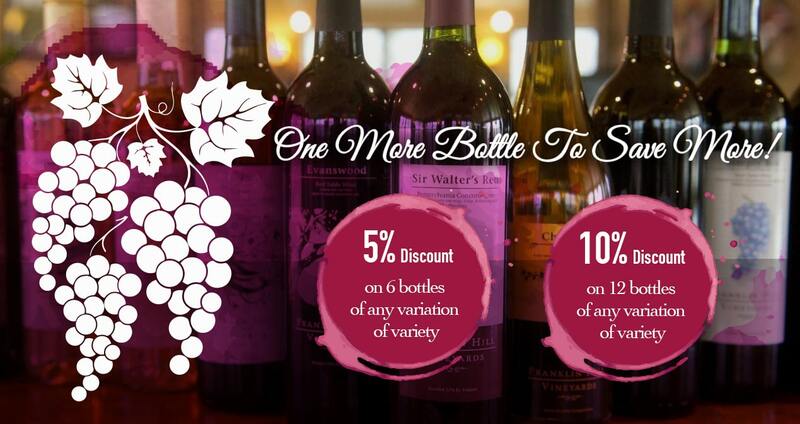 We offer tastings of up to 6 wines for $5.00 at all of our locations. 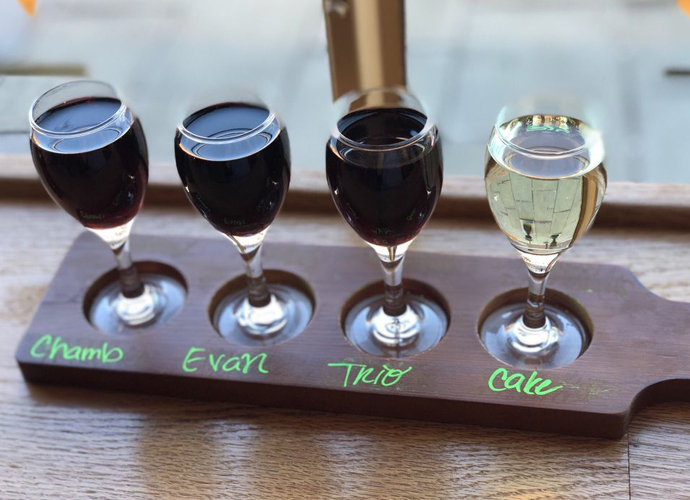 We also offer fun wine flights and sangria by the pitcher. 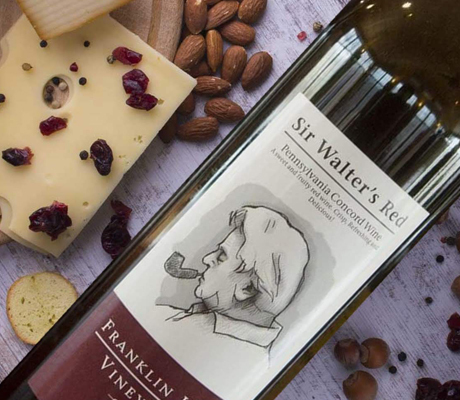 For those who would like to learn a deeper understanding of the wine, feel free to ask a friendly staff person for a tour of the property, and wine making process. Daily tours are given, and usually upon request depending on the day. With the exception of a few holidays, we offer tastings and sales everyday at all of our locations. Whether you want to visit the winery or one of our satellite wine shops, our knowledgeable staff will answer any questions you might have. 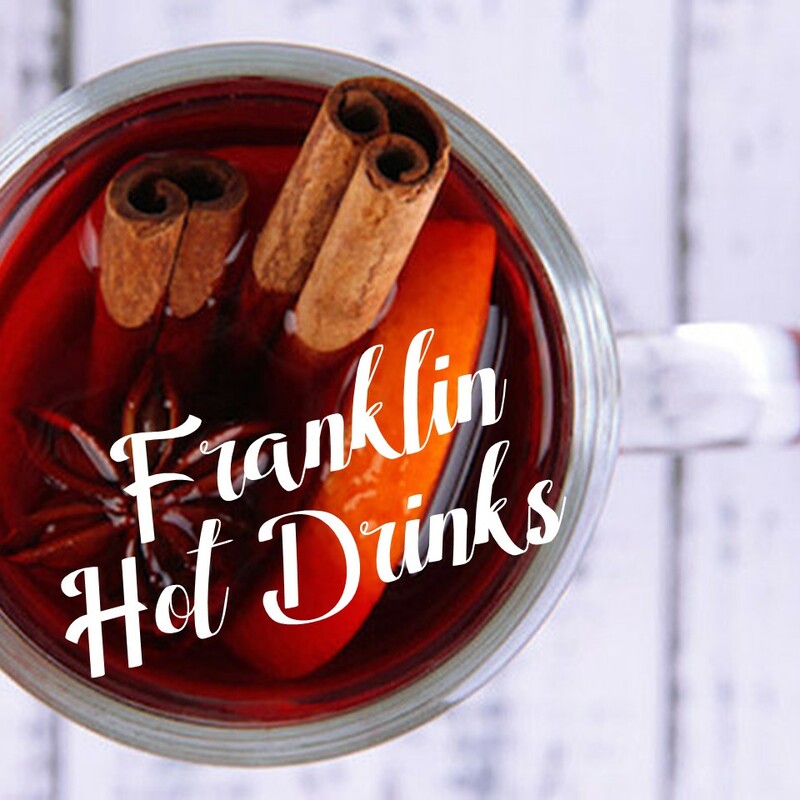 At the winery we have a small snack menu (try our crab and shrimp dip, it is awesome), and on the weekends we feature wine slushies! We are also expert gift advisers. All of our locations offer great gift shops with unique gifts you can’t find anywhere else. ”I was traveling with adult family members and they served “Passion” at the condo complex we rented at their meet and greet. We all absolutely loved it! Much to our pleasure, the vineyard was on our way home. So, naturally we stopped. We participated in a tasting and were pleasantly surprised at how many varieties became “Must Haves”! Between we 3 adults, we bought 30 bottles (very unusual for us since most of us rarely drink). Since March, whenever we are in the area, we need to stop! The attendant was patient and made recommendations based on our responses. She made it a pleasurable experience. Sir Walter is surprisingly my fav, with Catawba a close second! Keep up the great work.” Regina S.
“If you want to stop at a vineyard to taste delicious wine and sit back and relax outside, THIS is your place! From the staff, to the atmosphere, right down to the wines, everything was excellent! The tasting wasn’t rushed and she explained each wine as we went along, and was happy to answer any questions. I walked away with a few bottles that day (I have quite a few at home as I frequent their winery but had never been to the vineyard). The staff is very pleasant and knowledgeable and when I asked for a tour of the winery, not a problem at all! 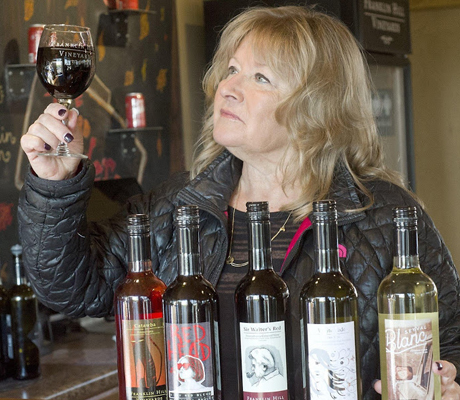 Would recommended to anyone!” Ellen D.
“Franklin Hill has an interesting variety of wines, from traditional to fun. Their new vintage, Beach Bum, smelled like the beach and had a yummy “conconutty” taste. 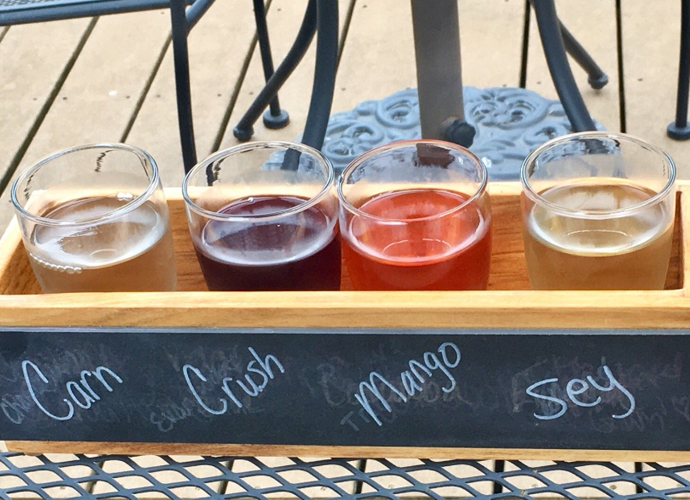 Other fun faves included Carnival (tastes like Cotton Candy), Redhead (Creme Brule flavor), Katie’s Creek (a sweet white), and they even have a wine in cans — surprisingly yummy! 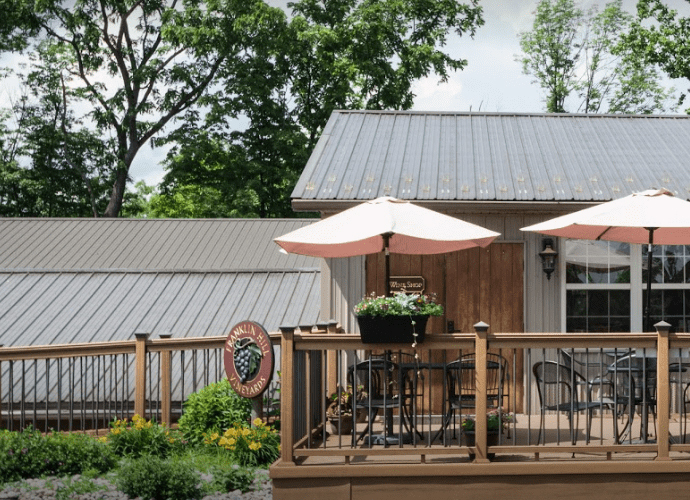 Taste some wine then buy a glass of your favorite and sit out on the deck with friends :)” Dalia L.
“My hubby & I went for a family reunion weekend in November to Tatamy, PA. I’ve never visited PA therefore I didn’t know what to expect other than farmland. Let me say Lehigh Valley is absolutely beautiful…rolling hills, winding rivers and acres and acres of cornfields that’s amazing to behold! I am a wine trail enthusiast therefore I knew we had to visit at least one vineyard on our visit. After researching the area online, I sensed Franklin Hill Vineyards would be a great place to explore. I love finding vineyards down long winding roads. Franklin Hill is no exception. Although we arrived late in the day, the ladies in the tasting room were so accommodating. Franklin Hill wines are top notch! Every wine tasted was fabulous! I had a challenging time deciding which ones to purchase so we bought a case!” Boston L.
In order to provide special attention to all of our guests, we request group reservations for parties of five or more. 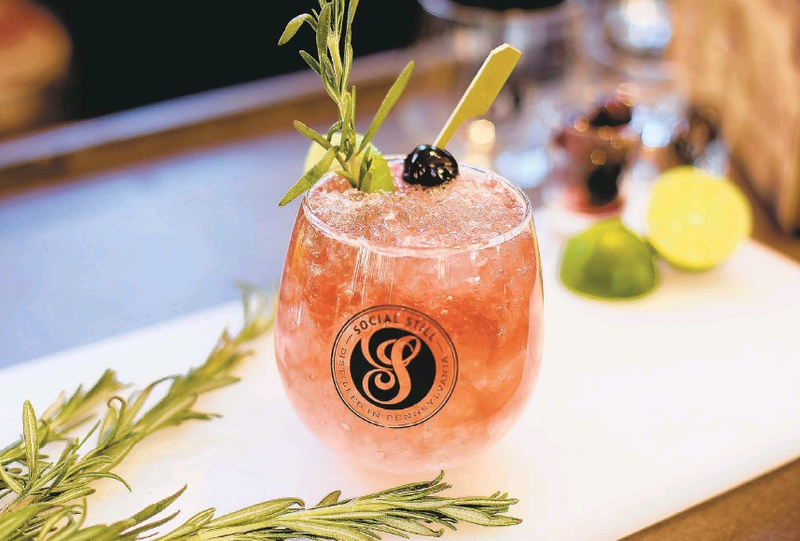 Advanced group reservations help us provide the best customer service for your party. To request a group reservation, call 610.588.8708 or email us. Check your schedule, and if you can join us, we would love to see you!